Barefootguy is using Similar Worlds. I'm so glad I never have to wear or buy them again! Grabbing on the pedals with my toes gives me a much greater feeling of safety than an inflexible rubber sole that slipped off my brakes and almost got me in an accident. It's not illegal, so don't knock it 'til you try it! I go completely barefoot at my job as a lifeguard. It feels nice to not have to wear shoes when on the clock 40 hours a week. 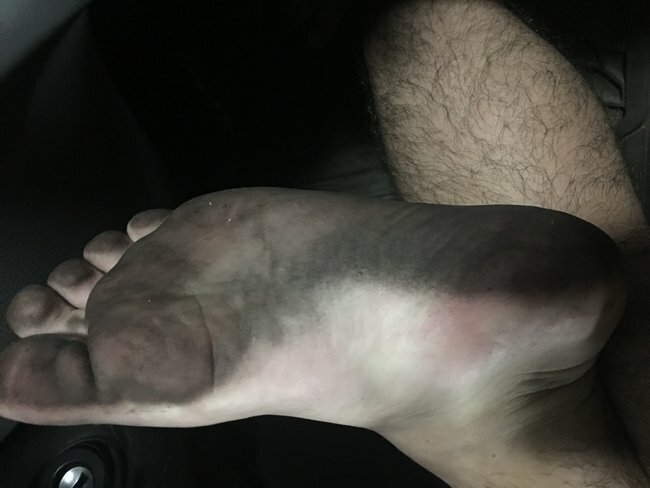 I leave my home barefoot everyday, drive to work barefoot, and remain barefoot my entire shift. From sun heated gravel to refreshing river waters to plushy grass, there's no other way to fully immerse yourself in nature than to hike barefoot! Nothing like walking barefoot in the city and getting weird looks! We don't need to conform to pointless norms and I won't let people try and make me. That's why I proudly walk barefoot in public.